Rabbit anti Bovine, Canine, Equine, Guinea Pig, Human, Mouse, Porcine, Rabbit, Rat DEPDC6 / DEPTOR. The immunogen for anti-DEPTOR antibody is: synthetic peptide directed towards the middle region of Human DEPTOR. Synthetic peptide located within the following region: KSPSSQETHDSPFCLRKQSHDNRKSTSFMSVSPSKEIKIVSAVRRSSMSS. Liquid. 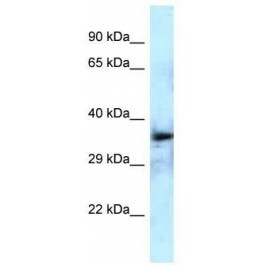 Purified antibody supplied in 1x PBS buffer with 0.09% (w/v) sodium azide and 972% sucrose.